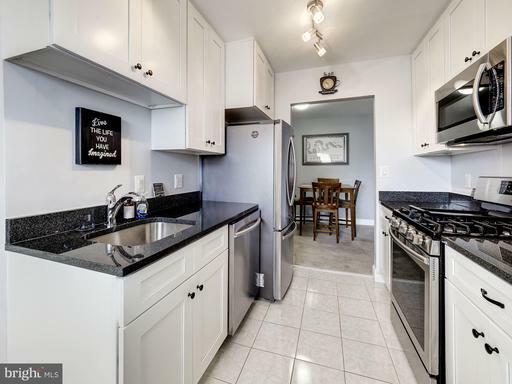 Renovated - Bright Spacious 2 bedroom condo. AMAZINGLY LOW CONDO FEE: ALL UTILITIES INCLUDED IN CONDO FEE. Totally remodeled Kitchen with its own Bosch washer dryer inside kitchen. Kitchen has Granite Countertops, Stainless Steel Appliances, Gas Range, Updated Bathroom. Great location, Near Metro/Dash/395! Extra storage, bike room, Community pool, playground for tot.